Home»Articles»Car Insurance»Your Friend Crashed Your Car! What’s Next? Your Friend Crashed Your Car! What’s Next? Believe it or not, friends are idiots! And more so if they have crashed your car. But don’t yell at them yet, save it for later! You’ll definitely get a chance to. Now is the time for other important things – damage control for starters. First take care of your friend if he/she is injured and then run to your insurer if your car is damaged. 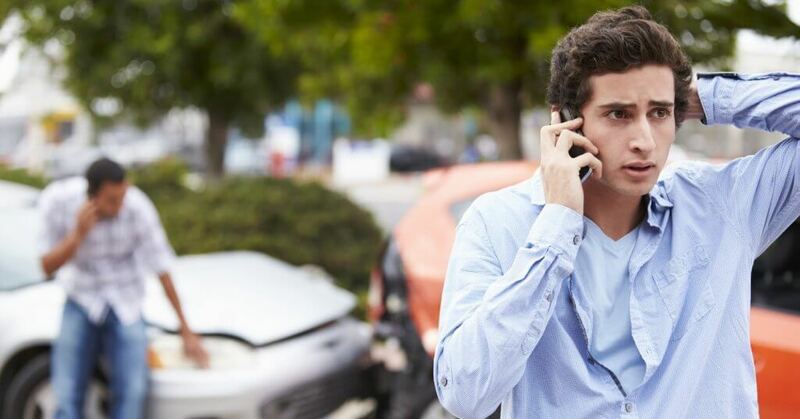 If others have also been hurt because of your car, we hope you have car insurance! It’s necessary to have the basic knowledge of do’s and don’ts in road accidents to avoid risks. The very first sane thing to do is to take your friend and others to the hospital if they are injured. Getting medical help is a priority here. Do everything in your power to make sure that your friend and others are safe. Call your friend’s family, they will be able to provide information on his/her health insurance. It can take care of medical expenses. What to Do on the Accident Spot? Do not try to drive the damaged car. Call your insurer instead and enquire if they can arrange for your car to be towed to the nearest garage. Meanwhile, try to take pictures or record a few videos of the accident spot and try to note down the details of the accident. Next, you’ll need to file the First Information Report (FIR) with the police. It is important to do so for the claim process. Who was driving the car is very important. What is the age of your buddy? Does your friend have a valid driving license? Was he/she drunk at the time of the accident? You will be asked these questions, by the insurer and the police. Also, you cannot claim insurance if your friend did not carry a license, was drunk, or was not included in your car insurance policy. Take a look at the car insurance policy if you are not aware of the type of insurance your car has. If it’s a basic Third-Party Liability Insurance, you might be able to help the others who got injured with their medical expenses. This insurance can also compensate others for property damage. But bear in mind that this type of car insurance will not be helpful if you want to get your own car repaired. You’ll have to pay for that by yourself. However, if you have a comprehensive cover, your insurer will help you cover all of these expenses. Do not get your car repaired before your insurer inspects the extent of the damage. Your claim will be rejected if you get your car repaired before your insurer can give you an estimate. Take your car either to a network garage for cashless claims or to your preferred one for reimbursement claims. *Network Garage is a garage which is a part of your insurer’s network of garages. If the above-mentioned things are in place, you can file a claim against your car insurance policy. Nowadays, it is easy to raise a claim against your car insurance policy with the help of the internet. Submit the required documents and let your insurer look into the matter. If things look good to them, your claim get settled. Yes, friends are idiots but isn’t that what friends are supposed to be? Idiots? Mistakes happen, but it is in your control to handle the situation like a pro and let this car crash become the reason for a stronger bond and not just a bad memory. Because the rest will be taken care of by another friend – the insurer.